Fallout 3 is still a surprisingly good game to play today. Despite its age, the Bethesda reimagining of the classic isometric RPG still holds a special place in my heart – with its exceptional setting and characters maintaining their sharp flair after all these years. 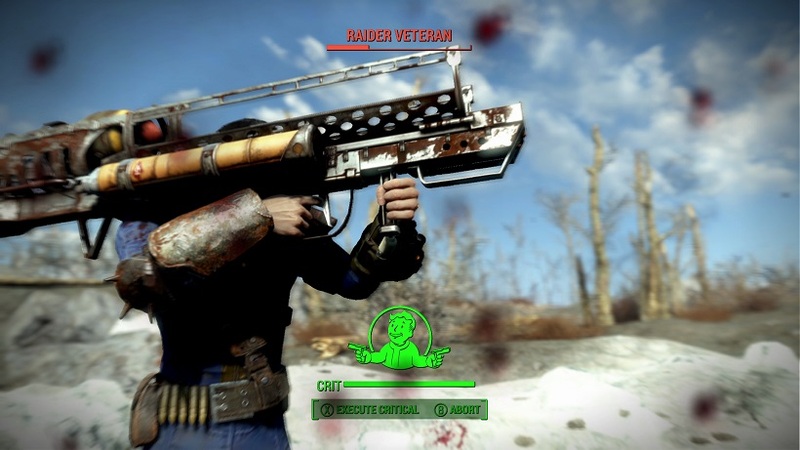 The gameplay has, however, aged rather poorly, and it’s something I’ve been hoping Fallout 4 would tackle head on. And in a way, it is. But at the same time, it’s also very reluctant to let go of some strings that would serve the game better if severed entirely. 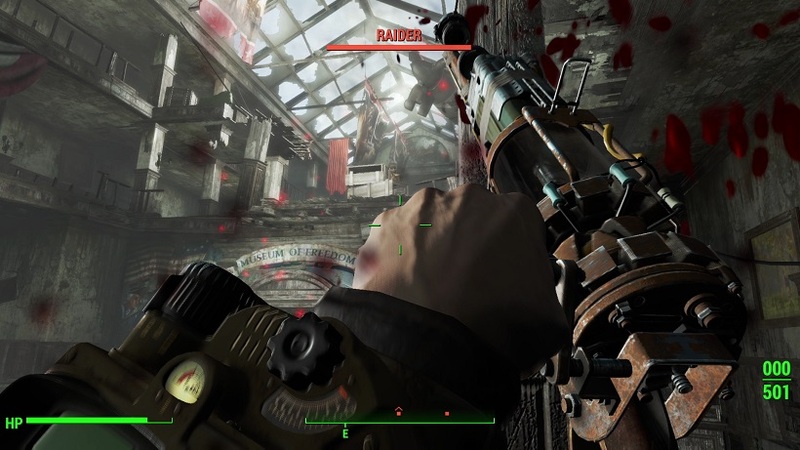 During a 15-minute long behind closed doors session, I got to see a much larger chunk of Fallout 4 gameplay than E3 (and Gamescom earlier this week) have shown before. 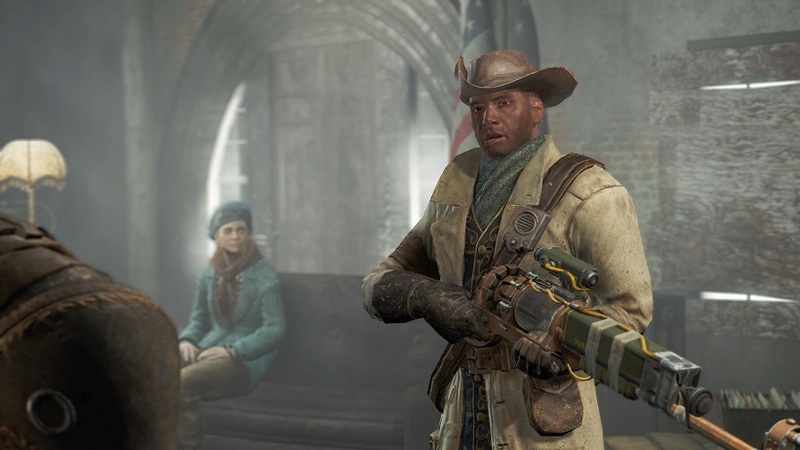 In it, our intrepid Vault Dweller traverses the town of Lexington – another typical rundown settlement that has been overrun with nasty ghouls and “shoot first ask questions later” raiders. They’re really the bread and butter of Fallout foes, and it was nice to hear the familiar, spine chilling shrieks of ghouls as they rushed from dingy dark holes right towards the player. They were quick work for the assault rifle the player had equipped though, thanks partly to the returning (and improved) V.A.T.S system. With the flick of a button the game pauses, highlighting different parts of the attacking ghouls ready and waiting to be targeted. You can still stack attack onto a specific limb, or choose to take a chance and aim for critical hits (that have a higher chance of missing, of course). Outside of that, the Aiming Down the Sights from New Vegas returns too – and overall combat just looks a lot tighter than it ever has. When he wasn’t vaporising raiders with the traditional energy pistol (or my favourite Laser Musket), our automated Vault Dweller made his way into a very familiar Super Duper Mart. Scavenging for supplies is commonplace in the apocalypse, and thankfully Dogmeat is more than willing to help with the grunt work. Locked doors still present the same lock picking challenge they did before, while more software savvy players will be at home with the near exact same hacking mechanics. And if you haven’t realised by now, here it is plainly – Fallout 4 is very similar (if not a carbon copy at times) of Fallout 3. Sure it’s prettier, with some much better lighting, texture detail and art direction. It’s also smoother, cleaner and more inviting than the sometimes overbearingly bleak Capital Wasteland. But what you get up to, it seems, is relatively the same. Shoot some stuff, loot a lot more stuff, and just keep on keeping on. And that’s not exactly a bad thing, especially since Fallout 3 was such a brilliant game in its own right. But it does make me wonder whether or not some of the weaker elements have managed to overstay their welcome. 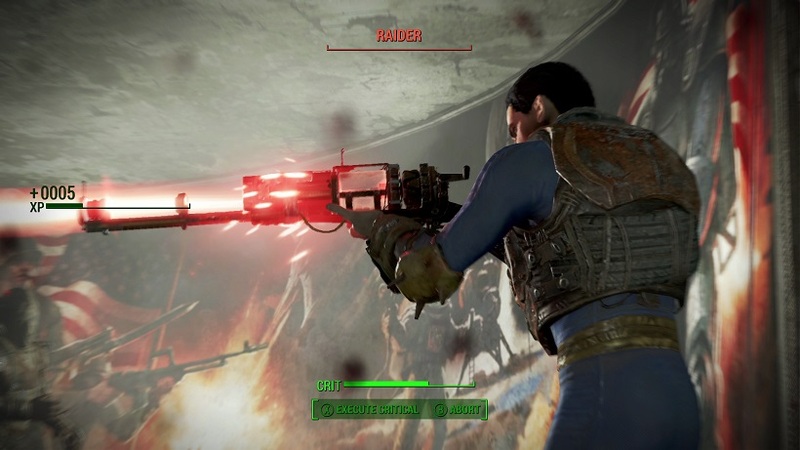 One element that certainly is unique to Fallout 4 is faction wars – which happen dynamically during intense combat situations throughout free roam. In this instance, the fight for Lexington was finally taken outside, with raiders setting up on long overpasses with sniper rifles and more courageous ground units moving in for the kill. While a trusty nailed baseball bat (and accompanying new melee finishers) would certainly be fun to attempt a defence with, it’s a good thing the cavalry arrived just in time. 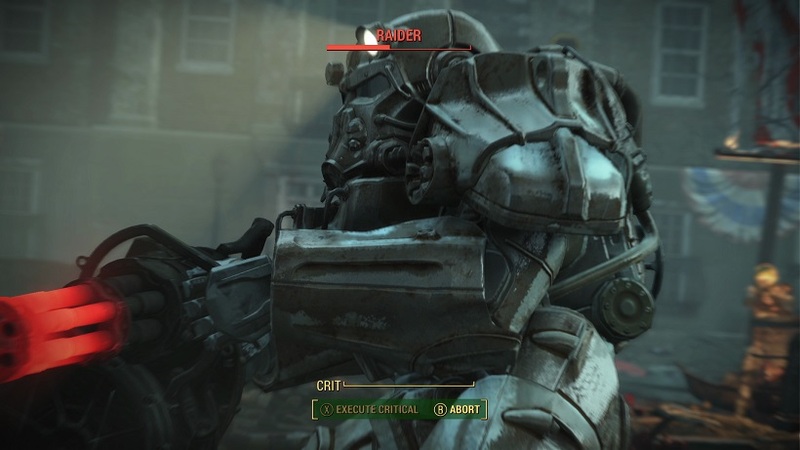 A patrolling unit of Brotherhood of Steel soldiers were suddenly airdropped into the fray, allowing the player to choose whether to fight alongside them, create a new enemy of them or simply high tail it the hell out of the hole that Lexington was soon to become. 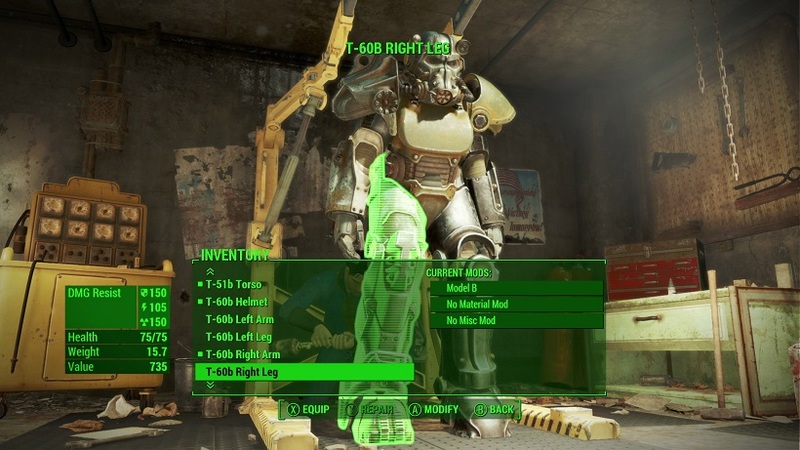 The chivalrous player stuck with the first option, equipping iconic weapons such as the Fatboy to dispatch thinning Raider ranks and one truly pissed off Behemoth. Although we didn’t see what impact this had with the Brotherhood, I’m more than certain they would be delighted at your aid. 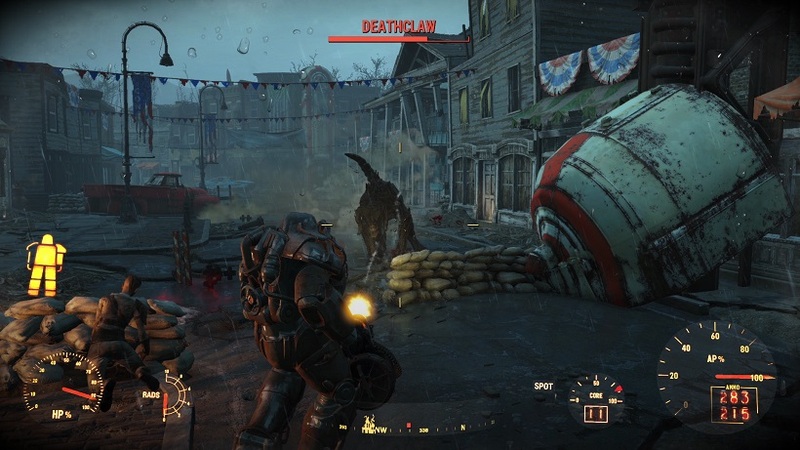 That’s really one of the biggest differentiators Fallout 4 has going for it, with most of the rest of the game really looking like something I’ve played before. 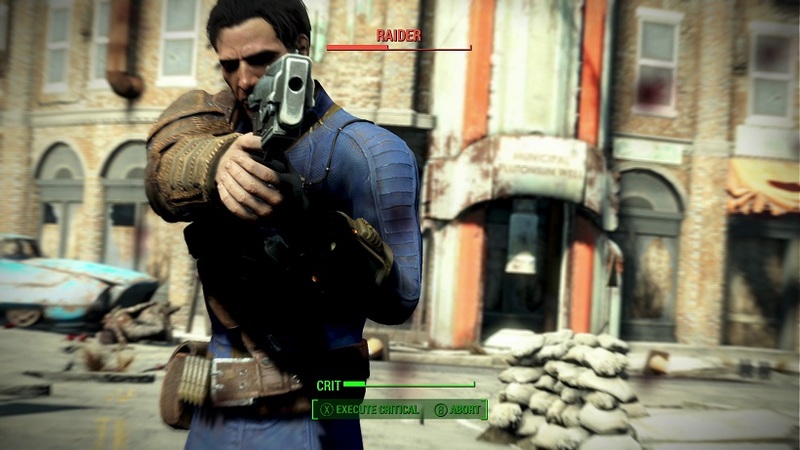 But, just like Fallout 3, it’s the setting and the way the narrative bends it to its will that makes the Fallout franchise one of the most captivating in the history of modern gaming. And if Bethesda gets that right, it really doesn’t matter just how similar it feels to the past.